This page lists the books published by Logical Expressions, Inc. For more information, click the link on the title to visit the book’s web site. Books from Magic Fur Press, the fiction imprint of Logical Expressions, Inc.
Sensing Trouble (Book # 1) So far, 1997 has been a spectacularly bad year for reporter Meg Jennings – and it’s only March. Uncontrollable …[read more]. Sensing Secrets (Book # 2) Meg Jennings used to be a reporter, but now she’s a fugitive hiding out at a …[read more]. 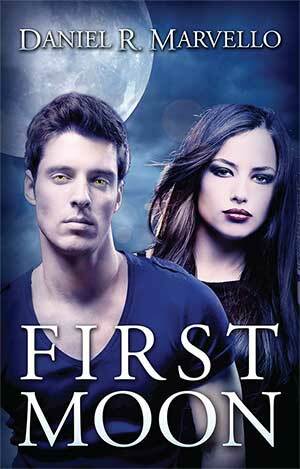 Sensing Truth (Book # 3) Meg Jennings has been on an adventure of a lifetime with Riley O’Shea. Together, they’ve uncovered …[read more]. 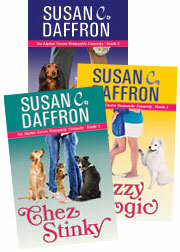 The Jennings & O’Shea series include a little bit of humor, dogs, and mystery with a paranormal twist. Visit the Jennings & O’Shea Series page to learn more. These are the nonfiction books published by Logical Expressions. Most people think about publicity in the context of bringing people to events or raising money. But publicity can bring you other benefits as well. You can use simple and affordable publicity tactics to recruit volunteers, find foster families, and increase adoptions. Get practical advice, along with creative ideas, inspirational case studies, and examples of real press releases that will help you plan and implement your own publicity campaign. Available from online retailers like Amazon.com. Note: The photo is of Susan’s dog Fiona. If you work for a non-profit humane society or pet rescue group, you understand the importance of fundraising to your organization’s long-term survival. Funds to the Rescue is written specifically for humane groups. This book saves you from wasting time as you search for new revenue streams to support your humane organization. The book begins with “The Hows and Whys of Fundraising” and follows with 101 entertaining and creative ideas. Armed with these 101 fundraising ideas, you’ll never struggle to find the money you need to support your animal shelter or pet rescue again. Available from online retailers like Amazon.com. 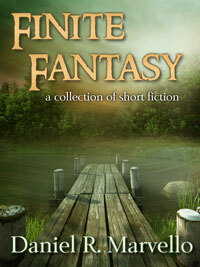 Also available in ebook formats from Amazon (Kindle). 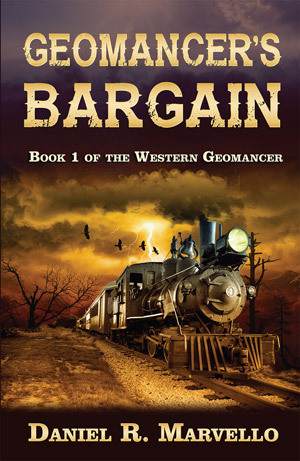 Awards: Named winner in “How To” category in the 2010 Indie Book Awards. Also won a 2010 Apex Award of Excellence in the Books & Ebooks category. Note: The cover features Susan’s dog Cami. Vegan Success: Scrumptious, Healthy Vegan Recipes for Busy People is a cookbook that is designed to take the drudgery out of vegan cooking. It’s filled with easy recipes anyone can make, even after a long day when you don’t feel like cooking. The recipes have no complex techniques or obscure ingredients. Many can be made from ingredients you already have sitting in your refrigerator or pantry. What it does include is a whole bunch of delicious, hearty, satisfying, melt-in-your-mouth good vegan recipes that don’t take all day to make, and don’t leave you hungry an hour later. Vegan Success includes tried and true, select recipes that actually work. When you adopt a dog or puppy, you are thrust into a strange new world where you don’t even speak the language. In Happy Hound, you’ll learn solutions to everyday problems dog owners face. Unlike breed-specific or veterinary books, Happy Hound is tailored to the special needs and issues related to living with a rescued puppy or dog. Many shelters give you a packet of information, but especially at smaller shelters they just can’t afford either the time or money to provide a lot of information. Happy Hound is designed to fill that need. Plus, if you’ve ever read a dog book where you wondered if the author ever even owned a dog, you’ll find Happy Hound a refreshing change. The book is filled with sidebars and anecdotes about the antics of the author’s gang of four dogs. You’ll never be left feeling like your dog is “really different” from anything you’ve read. Even though every dog is special, no dog is perfect! If you adopted your cat or kitten from an animal shelter, your new kitty has a past. You don’t know where she has been or the experiences she had before. Cats may seem mysterious and unpredictable to you, but the truth is that to a cat, everything she does makes sense. Once you understand feline motivations, you can more easily solve problems that arise. Happy Tabby is based on reality. Cats aren’t machines, and Happy Tabby embraces the unique aspects of living with a cat, along with personal anecdotes featuring the author’s two weird and wonderful felines. Written in a low-key, easy to understand style, this book is filled with practical advice on raising a cat or kitten you can live with for years to come. Note: The cover features Susan’s cat Troi. Gone but not forgotten. You may still be able to find used copies at Amazon. If you are business owner, coach, author, or speaker, writing a book is the best way to demonstrate your expertise. Getting a traditional book-publishing contract is difficult and time-consuming, so many people opt to self-publish. If you’re new to publishing, the process can seem complex. Publishize details a cost-effective method to quickly self-publish a book. In Publishize, you will find information on all the ins and outs of print-on-demand printing (without the subsidy press stigma) and get an overview of the latest online book marketing methods. Awards: Named winner in “Writing and Publishing” category and Finalist in the “How” To category in the 2009 Indie Book Awards. Also won a 2009 Apex Award of Excellence in the Books & Ebooks category. If you’ve thought about starting an online business or augmenting your existing business with an online presence, you’ve probably been assaulted by hype. Web Business Success: The Entrepreneur’s Guide to Web Sites That Work cuts through the clutter with the proven strategies and techniques you need to know to earn a decent income online. It’s like having your own ecommerce consultant right by your side, explaining things in straightforward terms, without a lot of “geek speak.” The advice is based on the authors’ real-world experience in advising clients, creating Web sites, and operating their own online businesses since 1997. These easy-to-read books are written by expert authors for small business owners on the go. Instead of focusing on pages of theory, the books are action-oriented with specific strategies and techniques you can use right away. 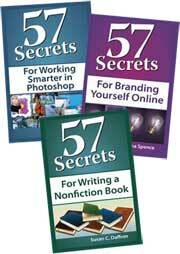 Visit the 57 Secrets area of this site to learn more about the individual titles. For more than seven years, Susan Daffron delivered helpful computing tips to subscribers of the weekly Logical Tips Newsletter. The articles were also syndicated in newspapers and online. Now the tips have been updated, revised, and compiled into four books, so you can keep this valuable information right at your fingertips! 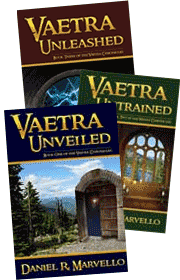 All four titles are available from online retailers like Amazon.com. 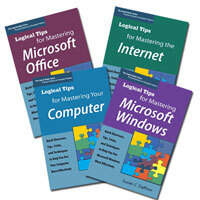 Visit the Logical Guides site to read more about the series.